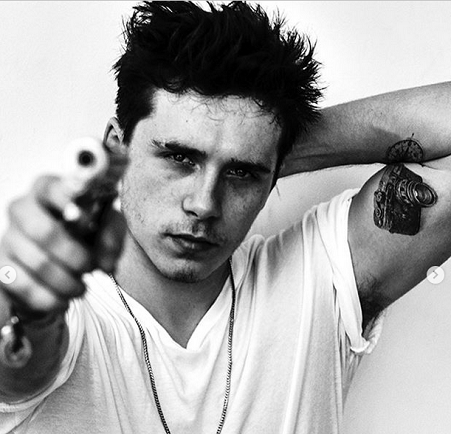 The 18-year-old New York-based photography student has happily posed for the camera in what he described on his Instagram as a 'cool double shoot', but some fans were less impressed as one user penned: 'A gun? Really? What an idiot'. The gun shot appeared to be particularly provocative as users soon swarmed the comments section to slam the use of a weapon in the images. Fans penned: 'Can't approve of the gun ones. never necessary... Heyy put that gun down !!... Why the gun? What is your reason to use something that causes so much destruction and despair? 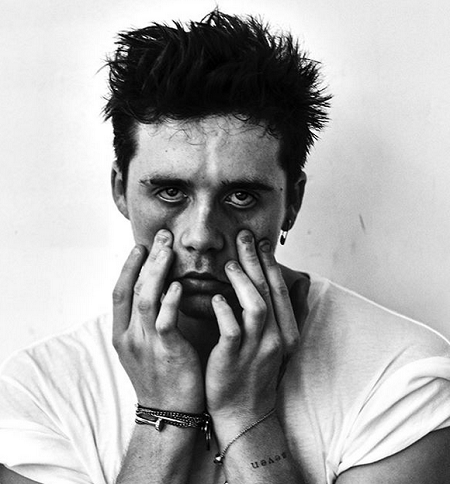 But despite the critisms, it didn;t make Brooklyn Beckham take down the particular photo.